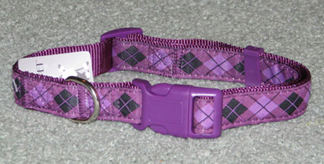 Purple and Black Argyle Dog Collar. 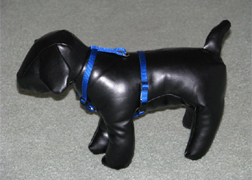 It is a very cute and preppy diamond pattern collar and or leash for your pet. The collar is adjustable and made with a stong and easy plastic modern locking clip. 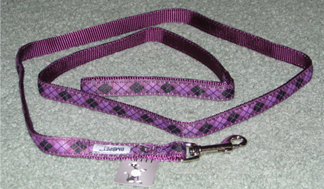 Matching Black and Purple Argyle Diamond Pattern Leash. Beautiful Pink Country Girl Collar with Dark Blue Denim Trim and Tuff Durable Clasp. 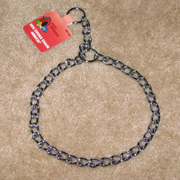 Steel dog choker chain for training. This training chain is 26 inches long and great for teaching dogs to heel.